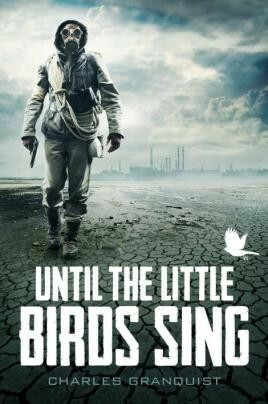 Unfortunately, due to sales rights restrictions, we cannot offer Until the Little Birds Sing for sale in your country. It's the year 2020, and John Dean is making plans - big plans. He's seen the writing on the wall. Temperatures of over 45 degrees are a regular occurrence and sea levels are rising; severe drought has meant harsh water restrictions, and the economy has slowed almost to a standstill. But John is not going to sit and suffer; he'll do whatever it takes to protect his family, and he's taking action. This is the story of how he moves his family away from a society on the brink of destruction to create a haven and make a fresh start. The Dean family and those who join them on their farm pull together to create a self-sufficient life as civilisation crumbles around them. They struggle to learn farming techniques and long-lost skills, but they survive. Then a threat comes from the north when refugees stream into northern Australia to escape heat, flooding and starvation. The Dean group must do the unimaginable: they must kill to defend the farm and their lives. This well-paced futuristic story about the astonishing human ability to adapt will keep readers engaged from the beginning as they imagine what they would do in the same situation - a totally credible scenario, as global warming increases its grip on our planet. The characters are beautifully drawn, and readers will be able to relate to the family relationships and admire the leadership of John and his son. Until the Little Birds Sing is a thoroughly engaging book - at times a grim tale, but ultimately one of hope, courage and renewal.